Announcing our 12 Week Transformational Programme for the Men & Women of Edinburgh who are Fed Up & Unhappy being Overweight, Unfit, Tired & Out-Of-Shape and are Ready to Commit to Becoming Fit & Healthy for Life. 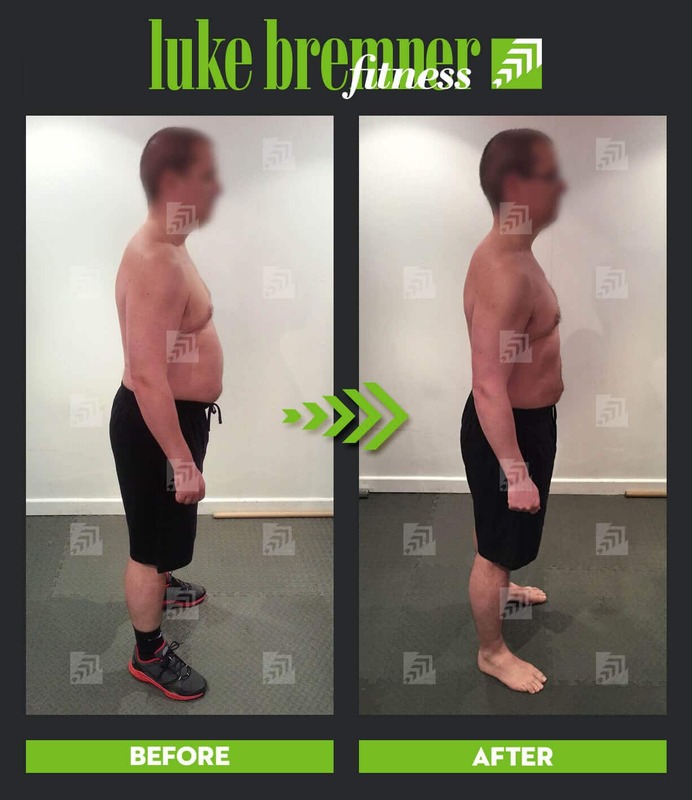 The ‘Fit & Healthy For Life’ Formula is our signature and most popular personal training programme here at Luke Bremner Fitness. We’ve packaged our knowledge, expertise and years of experience to create this powerful 12 week personal training and coaching ‘formula’. We’ve already helped over 150 Edinburgh residents transform their body shape and improve their health and quality of life with this programme, some of whom you can read about here. Unlike our short introductory 4-Week Jumpstart programme, this programme is far more comprehensive and involves an enhanced level of coaching, guidance and support to truly transform the way you look and feel, permanently. As life is so fast-paced, busy and stressful these days, it’s very easy to get caught up in this hectic lifestyle; always busy trying to keep up with the demands of life AND looking after yourself at the same time. Not easy spinning all those plates, is it? I imagine if you’re here reading this now, you can probably relate to this, and are probably struggling to keep all your own plates spinning and are most likely battling with your own health and body shape too? We created our ‘Fit & Healthy For Life’ Formula’ with you in mind; a unique coaching system for the busy modern professional or business owner that focuses on the 4 core areas that need to be ‘fixed’ to truly achieve long-lasting transformation. This programme is about transformation in every area of your life; the 4 areas mentioned above. The following information explains more about this concept and our 4-step coaching process which you can read more about here before moving on if you wish. 24 or 36 Personal Training Sessions – delivered over 12 weeks in the luxury of a private personal training studio away from noisy, crowded and intimidating public gyms. 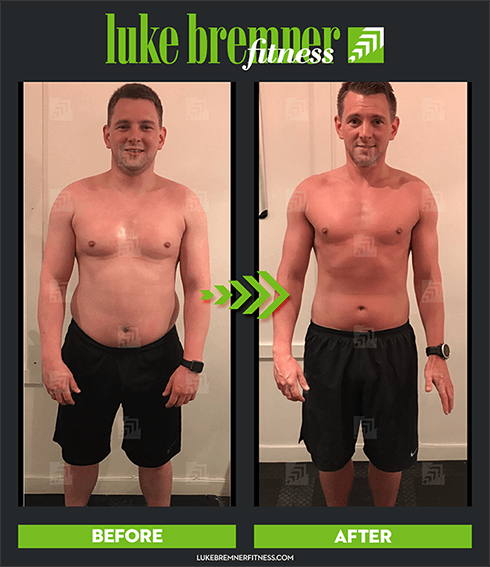 The ‘RoadMap’ – the starter pack and education resources providing an overview of the 12 week process to kick-start your body and life transformation. Mindset Management – we’ll help you develop your mindset to keep you focused, motivated & eliminate previous beliefs that were holding you back. Nutrition System – helping you gradually form new, healthy nutrition habits at a pace which you can handle (that doesn’t involve ‘rabbit food’ or starving yourself!). Exercise System – an exercise programme created specifically for you to help you create a lean, toned body whilst working within your boundaries and capabilities. Lifestyle Analysis – coaching on lifestyle changes you could make to accelerate your progress, without having to completely give up your social life or guilty pleasures. Accountability & Support – frequent analysis, assessments, measurements and reminders to keep you on track, as well as on-going support and guidance from your coach. Complete Privacy – 100% undivided attention from your coach in our private personal training studio away from the crowded, noisy and intimidating public gyms. 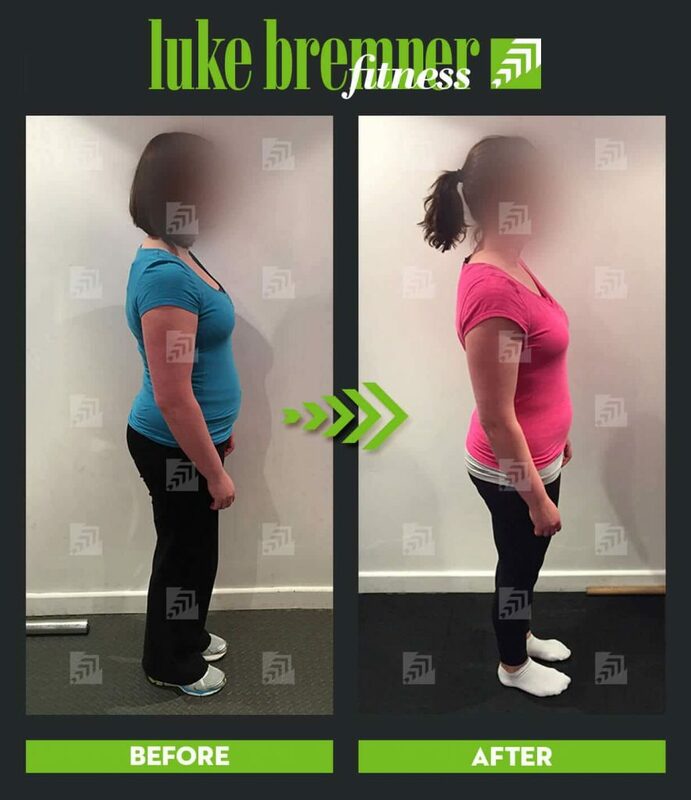 Lose weight, tighten and tone your muscles to completely change your body shape. Improve your general health and well-being through our nutrition and exercise coaching. Improve your quality of life through stress reduction, better sleep and increased energy levels. Fit effortlessly and comfortably into your favourite clothes that you’ve been dying to get back into. Improve your mobility, posture & strength which may help you overcome injuries, aches and pains. Educate you every step of the way so you fully understand the principles of living a healthy lifestyle. Increase your confidence so you no longer feel self-conscious about yourself and your body appearance. Achieve your ideal body shape so you can feel attractive in the mirror and wear any clothes you want. Become fitter and stronger so you can play with the kids, explore new hobbies or get back into sports. Help improve your heart health, lung function (and many more health markers) to reduce your risk of illness/morbidity. Improve your overall quality and enjoyment of life through stress reduction, better sleep and increased energy. Become a great role model to those around you through changing your ways and living a healthy lifestyle. Great results by our coaches and clients! Yes, that’s important, but we’re here to help you transform your life, not just change the way your body looks. We’re also committed to giving you the education, resources and confidence to maintain your new healthy life and body-shape forever more (without worrying about slipping back into your old ways) and helping you live a healthier, happier life through improved sleep, less stress, increased energy and a better work/life balance. 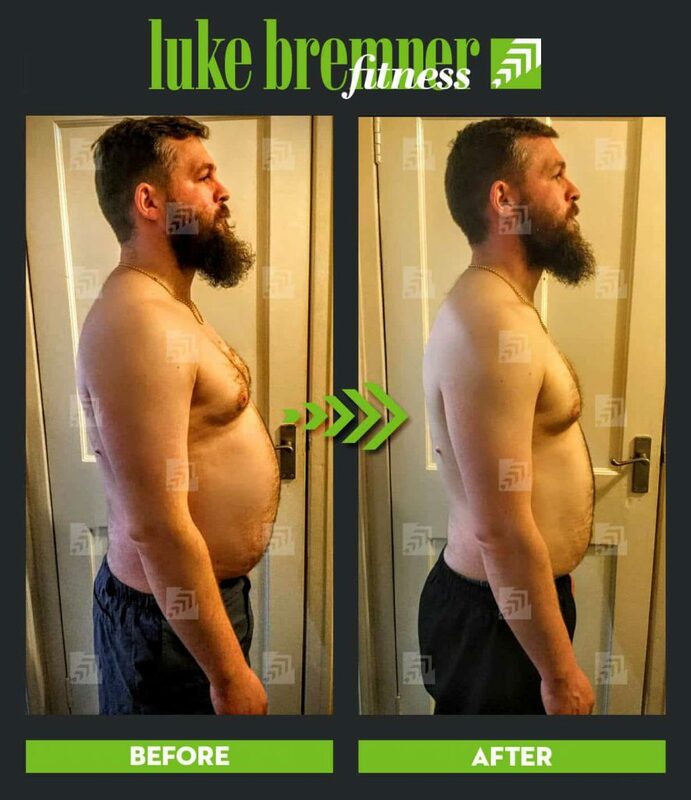 Here at Luke Bremner Fitness we’re passionate about what we do and are committed to improving the lives of those we work with. As spaces on this programme are limited at present, we are reserving these exclusively for those ready to commit to the programme and change their lives. If you’re not in a position where you are ready to commit for whatever reason or are not prepared to invest in yourself then please do not apply for this programme. You will be wasting our time and yours and potentially preventing someone else having a place on this programme. If you are ready to commit then we’d would love to help you. This programme is for those frustrated at being overweight and unfit and have the burning desire to change; to regain control of their health and fitness and improve their quality of life. It really doesn’t matter whether you’re completely new to exercise and healthy living or have some prior experience. Our coaching is set up for you as an individual, regardless of your starting point. Prices are inclusive of VAT. Typically the 3 x per week option yields greater results but we can discuss the most appropriate option for you prior to you beginning your programme with us. There are 2 options when you come to the end of your 12 week programme. Option B) You can take what you’ve learned from us and continue on your own. Either way, our primary aim is to ensure you are successful in your transformation and that you continue to maintain your results for the rest of your life. Join Us – How Do I Get Started? We appreciate joining this programme is big commitment so we offer a free consultation so we can get to know you (and you get can to know us! ), answer your questions and ensure you’re comfortable before joining our programme. We can do this face to face at the studio or over the phone. To get started and apply for your free consultation, click the button below and please click the button below and follow the instructions on that page. Click the button below to apply for your place and join us on this programme to begin your transformation immediately. Don’t hesitate to contact us should you have any questions about this programme before joining us.